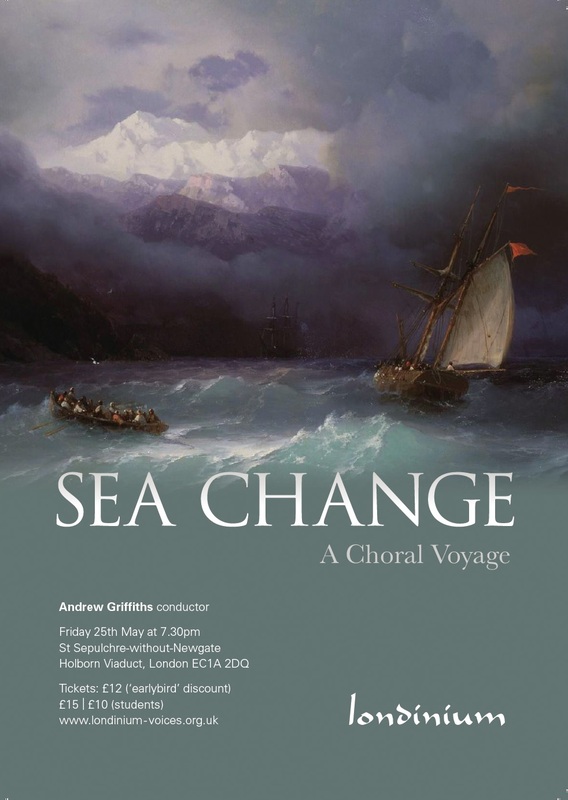 I remember singing in a performance of Richard Rodney Bennett's Sea Change many years ago and falling in love with this exploration of the mystical sea and man's relationship to it. Written for the Three Choirs Festival in 1983, it does not crop up often enough in concert programmes and there is a welcome chance to hear the work on Friday 25 May 2018 when Londinium, conductor Andrew Griffiths, fresh from the triumph of their CD The Gluepot Connection [see my review] perform at the church of St Sepulchre without Newgate. 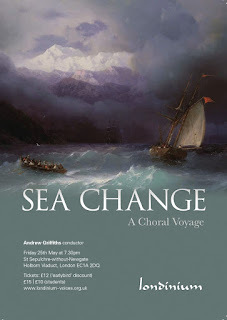 The concert takes its title from Bennett's work and includes a fascinating exploration of man's relationship to the sea with music, sacred and secular, ranging from Giaches de Wert and Thomas Campion, to Grieg, Brahms and Parry, to RVW, Holst, Coleridge-Taylor to Jaakko Mäntyjärvi, Howard Skempton and Gabriel Jackson. The music moves from shipwrecks, myths and legends to folk-songs and sea chanties. Full details from the Londinium website.